Türkan Olcay, author of ‘Olga Lebedeva ( Madame Gülnar): A Russian Orientalist and Translator Enchants the Ottomans’. Türkan’s fields of specialisation are 19th century Russian literature, Turkish-Russian cultural and literal relations, as well as the contribution of Russian emigrants to the cultural life of Istanbul in the 1920’s. Her published works include a wide range of articles on Russian literature on the Turkish scene, Chekov’s plays on the Turkish scene, and Russian traces on the Istanbul scene, amongst many others. In addition to her published works, Türkan has accumulated an in-depth teaching experience from 1994 to the present. 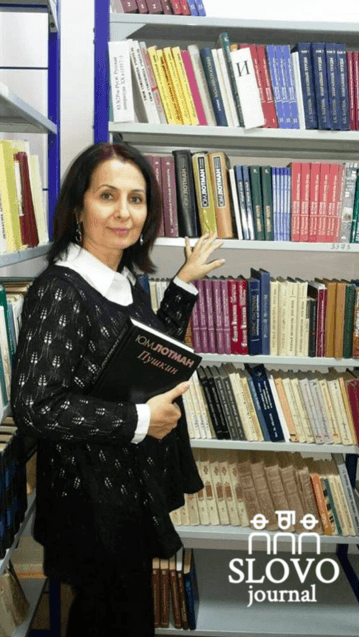 Türkan Olcay is currently working on projects concerning the history of Russian literary translations in Turkey from 1884 to the present day, as well as being a foreign participant in the project “Russian Literature in the World Context” by The Gorky Institute of World Literature. Based on the studying of a number of archive and scientific literature sources, Türkan’s article attempts to research the life and works of the first Russian female orientalist Olga Sergeevna Lebedeva. Under the pseudonym ‘Gülnar’, she was one of the first to introduce the Turkish reading public to the treasures of Russian literature, thus making an invaluable contribution to Turkish–Russian literary connections at the end of the nineteenth century. A special place in the article is devoted to Olga Lebedeva’s translations and literary critical studies in the Ottoman Empire in 1890s and also interrelationship between her and the prominent Ottoman writer and publisher Ahmet Mithat Efendi. The article ‘Olga Lebedeva ( Madame Gülnar): A Russian Orientalist and Translator Enchants the Ottomans‘ by Türkan Olcay (Istanbul University) was published in SLOVO Journal, VOL 29.2, and can be read in full here.